Nothing like timing. 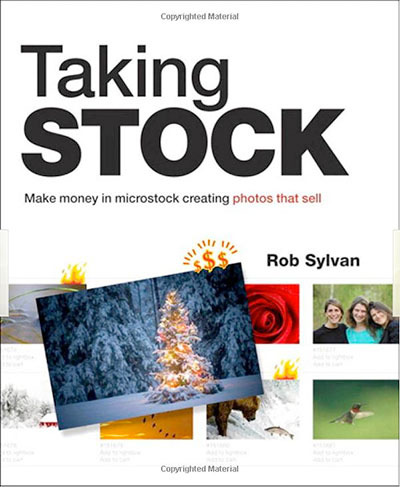 Peachpit Press is offering the Taking Stock: Make money in microstock creating photos that sell as an eBook for $9.99. It’s their eBook Deal of the Week so a limited time for the sale. It’s normally $23.99. The real deal is here. I am happy to announce two stock books that have recently published. Some of my own words appear in both of them as a response to a gree to interview questions for content inclusion. Both books are pertinent to the stock photo industry and would be a great addition to your reading material if you shoot stock or even have the idea to shoot for the stock industry. I have great respect for both authors: Rob Sylvan and Lawrence Sawyer. I don’t have my hardcopies yet, but I assure you that the material inside is worth a read since both authors have experience in the industry to make it worth your while. Congratulations to Rob and Larry. It’s in print! Both books are available for order online at their respective links that I listed.